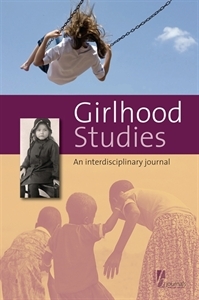 Girlhood Studies: An Interdisciplinary Journal is a peer-reviewed journal providing a forum for the critical discussion of girlhood from a variety of disciplinary perspectives, and for the dissemination of current research and reflections on girls' lives to a broad, cross-disciplinary audience of scholars, researchers, practitioners in the fields of education, social service and health care and policy makers. International and interdisciplinary in scope, it is committed to feminist, anti-discrimination, anti-oppression approaches and solicits manuscripts from a variety of disciplines. Girlhood Studies is now published in association with the International Girls Studies Association (IGSA). Member benefits include an online subscription to the journal. Discounted pricing available for individuals living or working in developing countries as defined by the World Bank and those with employment exceptions - adjunct, part-time, emeritus status.